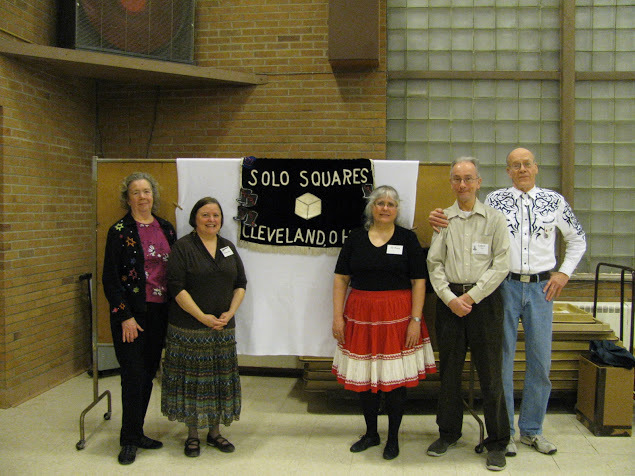 We danced 4 squares at our 3/28 student level dance and had 5 students in attendance. Student in attendance at the 03/28/2014 student dance. Gene Hammond introduce the angels and students to some new challenges and Frankie taught and lead some line dances between tips. Circulators were there for a banner retrieval and graciously provided a free pass to their hotdog dance which was won by Solo’s student Denise. Thanks to Denise, Tom, Susan, Fran, Don, Carolyn, Gary and Beth we had a successful banner retrieval from Media Squares who has had our banner since 9/1/2013. The only other banners that we have out are at Brecksville and Hubs.